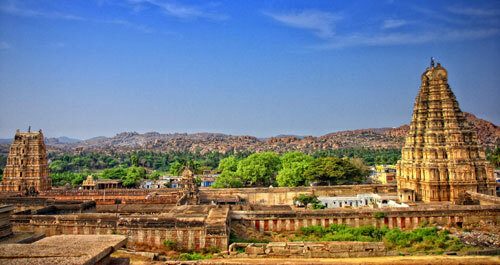 Southern region of India is known as one of the ancient cradle of civilization where several dynasties flourished. Dravidian heritage for which this region is renowned across the globe saw patrons of art and culture building and developing spectacular sights and monuments. Hoyasala, Halebidu, Mysore and many more cultural movements saw erection of some spectacular manmade edifices. There is so much to be seen, witnessed and experienced in South India which may leave even the fussiest of travelers breathless. Itineraries of the Golden Chariot train are meticulously designed to offer whirlwind tour across prominent destinations in India to let you capture the true essence of traveling - to uncover the spirit inherent in the land and people. The Golden Chariot offers 2 itineraries – Pride of the South and Splendor of the South - each of which span over the duration of 7 nights and 8 days. 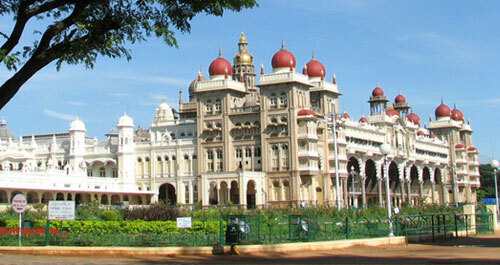 Designed to showcase the diversity of the South Indian states in shortest feasible time to those who prefer to travel in exclusivity and luxury, the itineraries of this Indian luxury train include a dash of heritage, wildlife, nature and modernity to paint the mesmerizing picture of a region blessed with wonders both manmade and natural. Unravel the gems of Karnataka as the weeklong Pride of the South itinerary whisks you across tastefully chosen destinations. Included in the tour are a dash of heritage, wildlife and cultural interactions to acquaint you with rich tapestry of Dravidian culture of the South. A weeklong journey cutting across state borders to acquaint you with the heritage, culture and varied topography of South India. From temples, beaches and national park to the World Heritage Sites, this weeklong itinerary in sheer opulence is a unique way to discover the global appeal of this region.